Jayampathy Wickramaratne M.P.A. 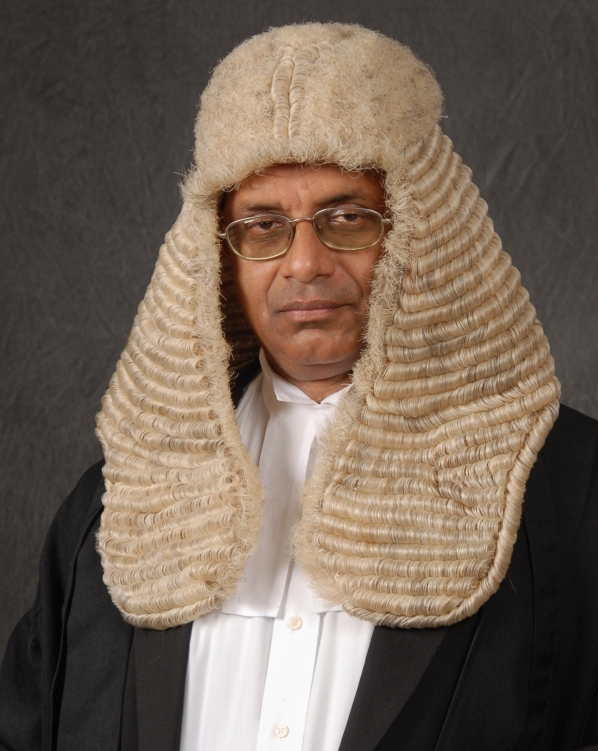 (J’Pura), Ph.D. (Pera) has been a legal practitioner in Sri Lanka for over 40 years. He is a Director of the Institute for Constitutional Studies, an independent research organization. Dr. Wickramaratne has served as an advisor in the Ministry of Constitutional Affairs and was a member of the Government’s Constitution Drafting Team that drafted the Constitution Bill of 2000. In 2015, he was Senior Advisor to the President of Sri Lanka on Constitutional Affairs and played a key role in the drafting of the Nineteenth Amendment to the Constitution. Dr. Wickramaratne has been a member of the Parliament of Sri Lanka since August 2015. He is a member of the Steering Committee of the Constitutional Assembly which is tasked with preparing a new draft Constitution. He has extensive experience in the legal sector of Laos, having worked there for the UNDP, UNODC, the European Union and Swedish Sida over the past 16 years. While in constitutional theory, a unitary state is one in which there is only one ultimate source of state power, for many Sri Lankans ‘unitary’ means ‘oneness’ or ‘one country’. The Thirteenth Amendment to the Constitution introduced limited devolution, but successive governments have been taking back powers to the Centre using all conceivable means. Sinhala nationalists who oppose any devolution equate devolution with federalism and have raised the bogey that more devolution would necessarily result in secession. On the other hand, the Tamil fear is that devolution within a unitary state would lead to rule of the majority and centralization of power. This short contribution examines the development of decentralisation in the context of Sri Lanka, including the recent interim report of the Steering Committee of the Constitutional Assembly. Sri Lanka is a multi-cultural society with four major communities – Sinhalese (74.9%), Tamils (11.2%), Muslims (9.2%) and Hill Country Tamils (4.2%). The demography of Sri Lanka is complex, with both concentrated as well as dispersed communities. The challenge in such circumstances is to adopt a constitution which gives all communities their due share of state power. 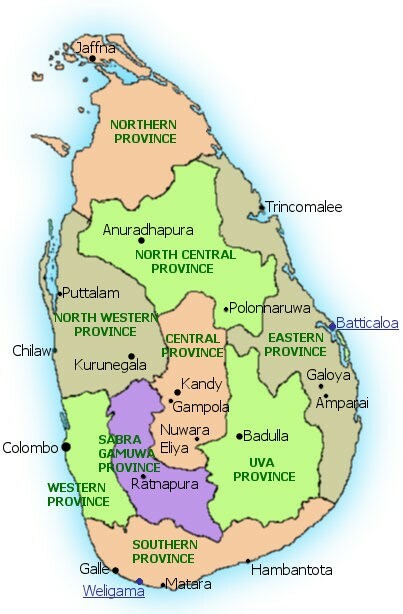 While federalism and devolution have been successful tools in meeting secessionist challenges in many countries, many opposed to devolution in Sri Lanka have spread a fear among the population that it would necessarily lead to the secession of the Northern and Eastern Provinces. The description of the Sri Lankan state as ‘unitary’ in the first Republican Constitution of 1972 and its entrenchment by the 1978 Constitution have impeded efforts at meaningful power-sharing. In constitutional theory, a unitary state is one in which the central government is supreme and administrative divisions exercise only powers that the central government delegates. In short, there is only one ultimate source of state power. But for many Sri Lankans, ‘unitary’ means ‘oneness’ or ‘one country’. The Sinhala word for ‘unitary’ is ‘aekiya’ and ‘eka’ is ‘one’. Thus, changing the unitary nature of the state is seen by some as ‘dividing’ the country. The issue has been further complicated with the Federal Party’s Tamil name being ‘Illankai Thamil Arasu Kachchi’ which translates as ‘Lanka Tamil State Party’. While detractors say it is secessionist, party leaders deny that and point out that in India, the sub-national unit is called a ‘state’. They say that when the party was formed, it took inspiration from India and all it wished to achieve was a ‘Tamil-majority state’ as in federal India. It was not the Tamils but Bandaranaike, who was later to form the pro-Sinhala Sri Lanka Freedom Party (SLFP) and become Prime Minister, who first proposed a federal constitution for Sri Lanka in 1926. In 1927, when the Donoughmore Commission visited the country, it was the Kandyan Sinhalese who proposed a federal arrangement, claiming that they were a separate ‘nation’. They proposed a federation of three units corresponding to (1) the Sinhala-dominated areas of the Maritime Provinces that were conquered by the Portuguese in 1505 and later came under Dutch and British rule, (2) the Kandyan Kingdom which was finally conquered by the British in 1815 and (3) the present Northern and Eastern provinces inhabited mainly by Tamils and Muslims. While sympathizing with their concerns, the Commission rejected a federal arrangement. When the Soulbury Commission on constitutional reform appointed by the British government visited Ceylon in 1944, no serious proposal was made by any organization that the country should have a devolved structure, let alone a federal one. The Commission made no recommendations either for self-rule of any kind or balanced representation. In 1949, Chelvanayakam broke away from the Tamil Congress (TC), a party that was for power-sharing with the Sinhalese, to form the Federal Party (FP). This was after the TC failed to stop the United National Party (UNP) – with which it was in a coalition – from denying citizenship of the newly independent country to an overwhelming majority of Hill Country Tamils and consequently disenfranchising them even though they had voted at the 1947 General Elections on the eve of independence as British subjects. At the elections that followed in 1952, the FP won only two seats. Chelvanayakam himself lost his seat. Tamils of the North and East decisively rejected federalism and mandated the TC to go back to Colombo and share power with the Sinhala leadership. In 1955 everything was to change. The two main parties of the South, the UNP and the SLFP, had been for Sinhala and Tamil to replace English as official languages. With another general election close at hand, both changed their position to ‘Sinhala only’. This led to enhanced support for the FP and at the 1956 elections, an SLFP-led coalition swept the South while the FP swept the North and East. The TC was humiliated with just two seats and never recovered from the defeat. Sinhala was made the only official language in 1956. The Tamils and the Left opposed the move and the Left’s Dr. Colvin R. De Silva prophetically roared – ‘two languages – one country; one language – two countries’. The warning was not heeded. The conflict intensified. Chelvanayakam’s pacts with the Prime Ministers of the SLFP (1957) and UNP (1965) for limited devolution were abrogated in the face of a hard-line Sinhala opposition. Both Republican Constitutions failed to address the issue. Tamil parties embraced secession and a full-scale separatist war followed. The Thirteenth Amendment to the Constitution of 1987 established Provincial Councils and provided for limited devolution. The Thirteenth Amendment is, however, weighted against genuine devolution. Although legislative power in respect of many subjects and functions has been devolved to Provincial Councils, Parliament has the power to override the Councils by using a two-thirds majority. In the guise of laying down national policy, Parliament may legislate even on subjects and functions enumerated in the Provincial Council List. The Concurrent List has been used by the Centre to restrict the powers of the provinces. Sadly, successive governments have used every conceivable provision, literally speaking, every comma or full stop, to frustrate devolution. The situation has been worsened due to lack of a devolution-friendly administration. In 1983, in the first years of the armed Tamil-separatist movement, an anti-secessionist provision was introduced into the Constitution. Article 157A (4) provides that ‘[w]here any political party or other association or organization has as one of its aims or objects the establishment of a separate State within the territory of Sri Lanka, any person may make an application to the Supreme Court for a declaration that such political party or other association or organization has as one of its aims or objects the establishment of a separate State within the territory of Sri Lanka.’ Upon such a declaration being made, the political party or organisation stands proscribed and any member of such party or organization, who is a Member of Parliament vacates his seat in Parliament. The petitioner in Chandrasoma v Senathirajah sought a declaration that the Federal Party has as its aims and objects the establishment of a separate State within the territory of Sri Lanka. The Supreme Court, having gone through the Constitution of the Party and affidavits submitted by party officials, held that the Federal Party supports or advocates the establishment of a federal State within a united Sri Lanka but not a separate State. The Court observed that advocating a federal form of government within the existing state could not be considered as advocating separatism. Federalism has thus become a ‘dirty word’ in Sri Lankan politics and much heat was generated when the People’s Alliance Government’s 1997 proposals sought to describe the state as a ‘union of regions’. Responding to this, the PA’s Constitution Bill of 2000 stated in proposed Article 1: ‘The Republic of Sri Lanka is one, free, sovereign and independent state consisting of the institutions of the Centre and of the Regions which shall exercise power as laid down in the Constitution.’ The Bill could not muster the required two-thirds majority in Parliament. As the majority report of the Panel of Experts later stated in agreement, the use of distinctive expressions, such as unitary, federal, union of regions/provinces should be avoided in describing the nature of the state. Sinhala nationalists who oppose any devolution equate devolution with federalism and have raised the bogey that more devolution would necessarily result in secession. It has become a major issue in the current constitutional reform process initiated by the coalition government in which the UNP and SLFP share power. A Constitutional Assembly consisting of all Members of Parliament has been tasked with proposing a new Constitution Bill which can muster the required two-thirds majority. ‘With regard to the nature of the State, there were many views expressed by people ranging from a federal to a unitary State, secular to non-secular with other in-between options between a federal and unitary State as well. Given the fact that the ideal of a federal State has been long mooted by Tamil politicians many of the representations from the Northern Province and also from the Tamil community in the Eastern Province, articulated the desire for a federal State. It should also be noted however, that some individuals and groups from other parts of the country and from among the other communities also proposed a federal State or a power sharing mechanism as the best means of responding to the grievances of the Tamil people. The United Kingdom has long been seen as a proto-typical unitary state. According to the British doctrine of parliamentary sovereignty, Parliament is the supreme legal authority in the UK which can make or repeal any law. Any law can be changed by a future parliament and courts cannot overrule parliamentary legislation. The UK does not have a written constitution but has unwritten constitutional principles that are followed. It also has many laws of constitutional importance. If by a ‘unitary state’ it is meant a state whose territorial integrity is assured, then the UK has not been a unitary state. The Parliament of the United Kingdom of Great Britain and Ireland passed the Irish Free State Constitution Act in 1922 to let Ireland (minus Northern Ireland) become a dominion and with the exit of Ireland the remainder became the United Kingdom of Great Britain and Northern Ireland. The UK Parliament itself provided for the secession of Ireland. It has recognized that a majority of the people of Northern Ireland could decide the issue of secession from the UK and unification with Ireland. It also recognized that a majority of Scots could decide that Scotland could leave the United Kingdom. The above shows that describing a state as ‘unitary’ is not, by itself, a barrier against secession. Proponents of devolution argue that describing the Sri Lankan State as ‘unitary’ in the English version of the Constitution is undesirable for the reason that there exists a certain ‘unitary mindset’ in Sri Lanka according to which any issue that arises between the Centre and a Province is decided in favour of the Centre. They argue that while ‘unitary’ means in the classic sense that powers devolved may be withdrawn by the Centre by constitutional change, there have been many instances of the legislature, executive and even the judiciary undermining devolution at every possible turn. The situation has been worsened by a lack of a devolution-friendly administration. Examples of such a ‘unitary mindset’ are available in abundance. In making proposals for inclusion in the new Constitution, the Steering Committee took into consideration fears of pro-devolution forces as well as those who fear that devolution has the potential of leading to secession. In Sri Lanka, sovereignty will be vested in the people and shall be inalienable and indivisible: Sovereignty is thus declared to be with the people of Sri Lanka as a whole. The sovereignty of the Sri Lankan people is indivisible. A division of sovereignty between the Center and the units, a federal characteristic, is thus expressly ruled out. Maximum devolution should be granted: Noting that the principle of subsidiarity (“i.e. whatever could be handled by the lowest tier should be vested in it”) has been generally accepted in submissions made before the Steering Committee, the Sub-Committees, as well as the Public Representations Committee and that the Sub-Committee on Centre-Periphery Relations had recommended that more power and authority be devolved to the local authorities, the Steering Committee recommended that the principle should be a guide in deciding on the allocation of subjects and functions between the three tiers of government. Proponents of devolution have been demanding that given the near-thirty-year experiences under the Thirteenth Amendment, powers of the Centre and the Provinces be clearly defined. The best proposals in regard to devolution have come from the Chief Ministers of the seven ‘southern’ provinces, all of which have a Sinhala majority. The Chief Ministers all come from the SLFP. In fact, the Chief Ministers’ Conference has made similar proposals on several occasions. The Steering Committee has responded positively and included many of the proposals made by the Chief Ministers. Powers must be clearly and unambiguously divided between the Centre and the provinces. The Constitution shall be the Supreme Law of Sri Lanka: The present Constitution does not permit post-enactment judicial review. A Bill, but not an Act of Parliament, can be challenged for constitutionality. There are several examples of laws on devolved subjects passed without challenge and now unchallengeable. That the Constitution shall be the Supreme Law means that provision would be made for post-enactment review, a recommendation of the Sub-Committee on the Judiciary as well. The power to amend the Constitution, or to repeal and replace the Constitution, shall remain with Parliament and the People of Sri Lanka (where applicable), in the manner set out in the Constitution: Thus, devolved units would not be involved in constitution-making. It would be the people of Sri Lanka as a whole, and not the people of the devolved units, who would vote in a referendum on constitutional reform. Sri Lanka (Ceylon) is a free, sovereign and independent Republic which is an aekiya rajyaya /orumiththa nadu, consisting of the institutions of the Centre and of the Provinces which shall exercise power as laid down in the Constitution. In this Article aekiya rajyaya/orumiththa nadu means a State which is undivided and indivisible, and in which the power to amend the Constitution, or to repeal and replace the Constitution, shall remain with the Parliament and the People of Sri Lanka as provided in this Constitution. To assuage fears that a Provincial Council may use its powers to move towards secession, the Steering Committee proposed that the Centre should be constitutionally empowered to intervene in a province if there is a ‘clear and present danger’ to the territorial integrity and sovereignty of the Republic. Such intervention shall be subject to Parliamentary approval as well as to judicial review. The interim report also contains observations and comments by Members of the Steering Committee on the principles and formulations contained in the Report. Prime Minister Wickremasinghe, informed the Committee that his party (UNP) would go along with the entirety of the report. The SLFP led by President Sirisena is generally supportive of devolution but its proposals do not go as far as those of its own Chief Ministers. As expected, the Joint Opposition effectively led by former President Rajapakse is not supportive of further devolution, even wanting to decrease some of the present powers of Provincial Councils. The Tamil Nationalist Alliance (TNA), in which the FP is the dominant partner, while affirming its position that Sri Lanka should be a federal state within a united/undivided and indivisible country has nevertheless stated that in the interests of reaching an acceptable consensus, it is willing to consider agreement with the main principles articulated in the report if the same are acceptable to the two main parties. The TNA’s position has been widely welcomed in the South although it has severely criticized by Tamil extremists. That in a multi-cultural society riddled with a conflict, a settlement that offers all communities their due share of state power within a democratic framework can end the conflict may be a truism for many observers. While opposition from majoritarians is to be expected, there may be many who genuinely fear that devolution may lead to secession. This is so in countries that have seen violent conflict, the Sri Lankan case being an example. Rather than brush such fears off, it is best that such fears be moderated. Constitution drafters need to be pragmatic and avoid language that could lead to confusion given the specificities of the situation. Ranjith Amarasinghe et al, Twenty Two Years of Devolution: An Evaluation of the Working of Provincial Councils in Sri Lanka (Institute for Constitutional Studies 2010). Rohan Edrisinha et al (eds), Power-sharing in Sri Lanka: Constitutional and Political Documents, 1926-2008 (Centre for Policy Alternatives 2008). Asanga Welikala (ed), A New Devolution Settlement for Sri Lanka(Centre for Policy Alternatives 2016). Ceylon: Report of the Commission on Constitutional Reform (Cmd 6677, 1945). SC Spl. 03/2014, SCM 04.08.2017. Panel of Experts appointed to service the All Party Representative Committee, Report of Group ‘A’ (2006) in Rohan Edrisinha et al (eds), Power-sharing in Sri Lanka: Constitutional and Political Documents, 1926-2008 (Centre for Policy Alternatives 2008) 784, 785. Report on Public Representations on Constitutional Reform (Colombo: Public Representations Committee on Constitutional Reform, 2016) 20. <http://english.constitutionalassembly.lk/images/pdf/interim-report/ReportE%20CRR.pdf> accessed 02 December 2017. For the constitutional framework of devolution and important legal issues that arose, see Jayampathy Wickramaratne, ‘Legal Aspects of Devolution in Sri Lanka’ in Jayampathy Wickramaratne, Towards Democratic Governance in Sri Lanka: A Constitutional Miscellany (Institute for Constitutional Studies, 2014) 137-233.